At the beginning of this year I decided my watchword for 2012 would be NOW. This is to be the year of no procrastinating. As I advance through my fifties, my sense of urgency about life becomes more acute. I acknowledge that I’ll never be finished with life, never be able to say ‘that’s it, I’ve done it all now’ – at least I hope that’s the case. But equally there’s lots I definitely do want to accomplish before I enter the Twilight Home for Bewildered Teachers to await my departure for the staff room in the sky. Hence I have a packed writing schedule. There’s so much I want to write – so many ideas and notes waiting development – not to mention the two novels in progress. I have a garden project and places to visit, walk and climb. And there’s the 2012 ‘to be read pile’. 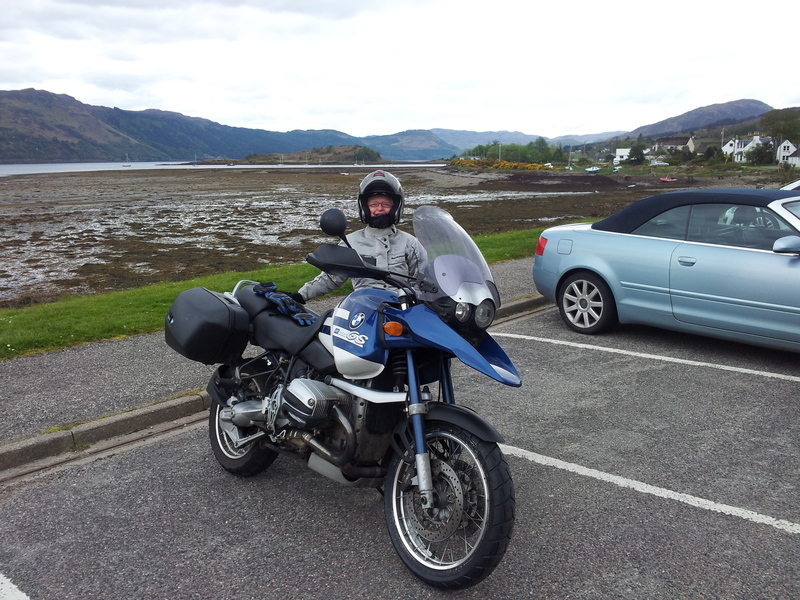 So on Sunday, after many years of waving Mr Write Enough off on his motorcycling trips, I decided to join him. I decided to ignore my terror of riding on motor bikes and to forget safety. 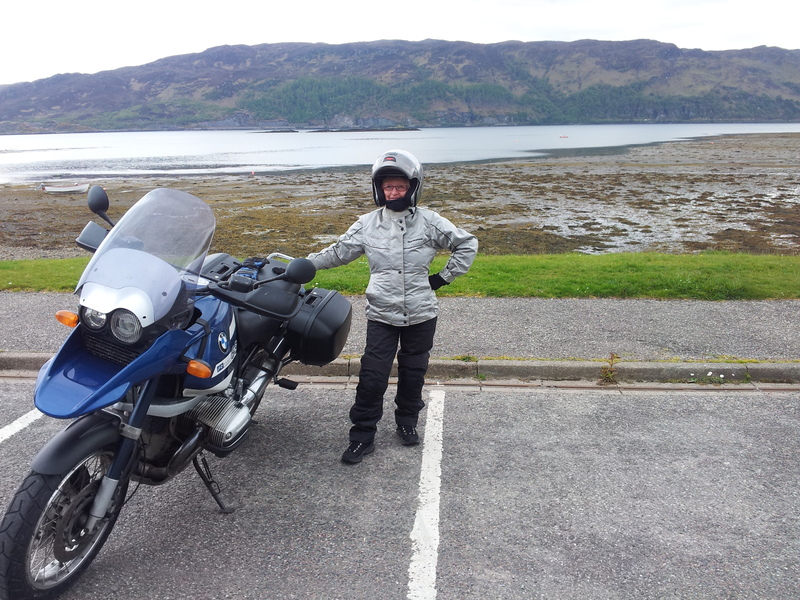 In borrowed biker gear, I climbed aboard the big BMW beast – getting on was no mean feat for a little old lady like what I am but I did it easily – placed my arms around the husband in a vice-like grip, and off we went. And, reader – I LOVED it. What a fabulous feeling! I loved when we overtook camper vans and caravans with ease – something that, as a car driver, it is often impossible to do as our island roads clog up with slow-moving, dozy tourists. I loved the different perspective you get from the elevated and open position on a bike. I loved being able to smell the gorse and the sea as we sped along. I loved leaning into the bends and the way bikers always acknowledge one another with a wave in passing. We did a 140 mile round trip to Lochcarron on the mainland, where we stopped for a bit of lunch and a walk. Yes, I also managed to dismount unaided. Still some flexibility in the old bat yet! (I’d been dreading having to call the fire brigade to bring a hoist to get me down as the passenger on a bike has to dismount before the driver). What a high! I wish I’d done it years ago. I can’t wait to go again. We’re already planning a biking weekend to the outer isles in the summer and I’m trawling the online biker clothing sites to order up my own gear. There was also a bit of an ironical twist to the day – and to ideas of safety. While I was risking life and limb indulging in a relatively dangerous activity, and surviving unscathed, my son’s poor girlfriend tripped over the corner of the duvet and smashed her arm on the bed frame – she’ll be in plaster for six weeks. There’s some sort of moral in there I think. PS I hope you like the blog’s new look . Love your new look blog Anne. I too have always been terrified of going on a motorbike,I don’t even know how to ride a pushbike(never had one as a child ) Hubby goes cycling and wants me to get a bike ,maybe now I will you have given me some inspiration. How great that you’re planning a biking weekend,you go girl!!! Hope your son’s girlfriend is okay,accidents can even happen in your own home you’ re so right. Hi Anne – glad you like the updated look. Yes, give the cycling a go. 🙂 Thanks for reading and commenting. What a very lovely new blog design! Brave of you to hop on the bike — I used to ride pillion on the Hub’s Bonneville but I was always a bit scared. I think I’d be less scared if I were driving it, not sure. Sounds like you had a magical time — good for you! Thanks, Martha and glad you like the new look. 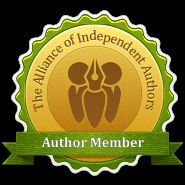 Hi Anne, fantastic post, I love your attitude and your watchword, NOW! I follow many people on Twitter like yourself and I’m aware of their blogs but I haven’t had much time to check their blogs out but this afternoon I have made time. I have challenged myself 10 new blogs to follow (that are worth following). Your blog is great! Not sure how it looked before but love the look now.